The SL4 gives you the freedom to take your entire digital music collection on the road with advanced Serato features that add extra creativity to your DJing. This intuitive digital vinyl system replicates the traditional DJing experience for “real feel” usability. 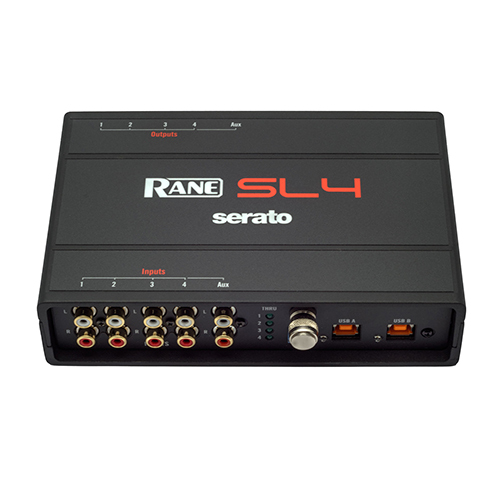 The Rane SL4 USB interface connects up to four vinyl or CD turntables to your computer using a single USB cable with audio connections to line inputs on your DJ mixer of choice. 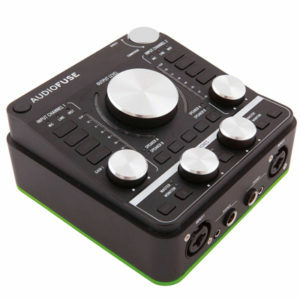 It is the first standalone DJ interface with two USB ports for seamless DJ changeover and back-to-back performances. This system includes Serato DJ software and is compatible with Scratch Live. Rane’s Core Audio and ASIO drivers connect to other popular DJ and DAW software. 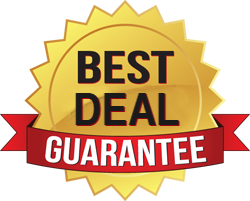 This package includes four 12˝ Serato Control Vinyl records, four Serato Control CDs, 2 USB cables, and 6 RCA audio cables to your mixer. An international power supply with country adaptors is included to insure continuous performance during USB changes between DJs. The AudioBox 1818VSL is a professional product, so we gave it the advanced features pros need. A BNC word-clock output enables the 1818VSL to sync precisely with other digital audio devices. With eight analog aux outputs and two main outs, you can feed and switch between several sets of monitor speakers and outboard gear. 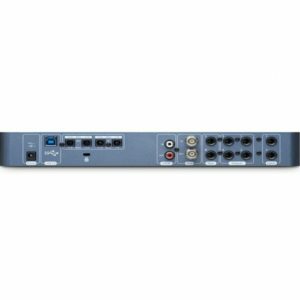 MIDI I/O lets you can connect the AudioBox 1818VSL to virtually any standard MIDI instrument or control surface. ADAT and S/PDIF I/O make it expandable when you need it. A screaming-loud headphone output ensures you can hear your music loud and clear, even in noisy environments. 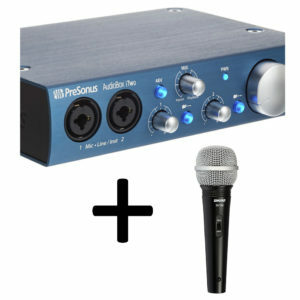 Pros know that PreSonus gear is reliable and built to last, and the AudioBox 1818VSL is no exception. We used premium parts throughout, along with a heavy-duty steel chassis with real metal knobs. 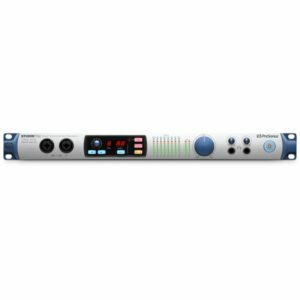 And we managed to fit its full complement of controls, preamps, and I/O into a single rackspace, so whether your studio is at home or on tour, the AudioBox 1818VSL is there where you need it. 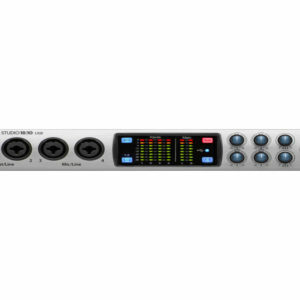 The Studio 192 Mobile audio interface provides an integrated, portable, hardware and software solution for recording in personal and professional studios wherever they may be. 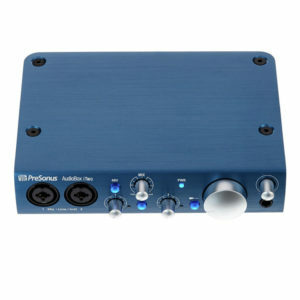 Switch between any two mixes using the Cue function and the onboard headphone amp. Software-controlled Dim and Mono options let you take control of your main mix. 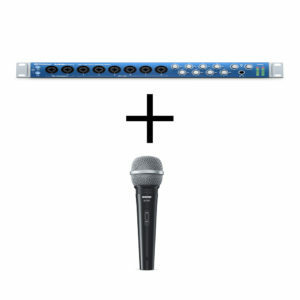 Use the six balanced outputs for monitor mixing or speaker switching, or both, depending on how you work. 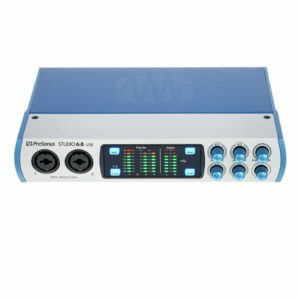 With its flexible software and abundant I/O, the Studio 192 Mobile fits into any recording and production environment. 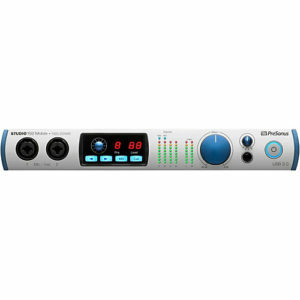 The Studio 68 from Presonus is a 6×6 USB 2.0 audio and MIDI interface featuring two front-panel combo mic-and-line/instrument inputs and two rear-panel mic/line combo inputs, each with XMAX-L solid-state mic preamps. 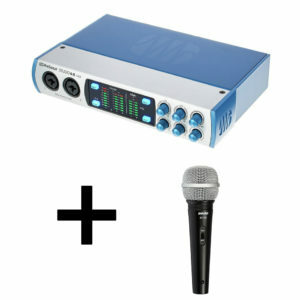 In addition to the main outputs, there is another set of stereo line outputs for mixing or speaker monitor-switching. A stereo headphone output features a Cue Mix A/B, which toggles between two mixes, well suited for live-performance DJs or for listening to a performer’s monitor mix. 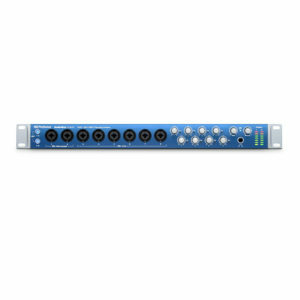 Additionally, the Studio 68 features a 9-pin D-sub connector which connects to a breakout cable and features MIDI I/O connectors and S/PDIF digital I/O—it is a complete recording solution and ships with Presonus’ Studio One Artist software. 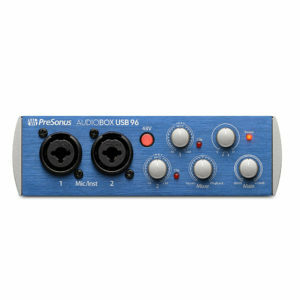 The PreSonus AudioBox 96 Studio starts with an AudioBox USB 96 USB audio interface, which will capture the music with 24-bit/96kHz quality. Studio One Artist is a feature-packed DAW, perfect for recording, mixing, and sharing the music. Users recordings will sound great, thanks to a M7 large diaphragm condenser mic, and users be able to hear everything in pristine detail with a set of HD7 studio monitoring headphones. 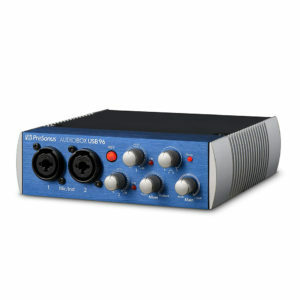 The AudioBox 96 Studio is great for singer/songwriters, podcasters, and more. 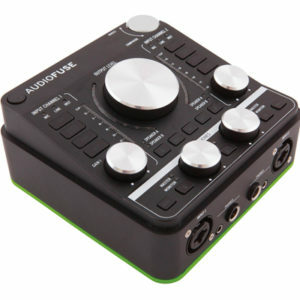 Start recording and creating music with an AudioBox USB 96. This compact, convenient, and super affordable audio interface is an ideal option for singer/songwriters and any creative artists looking for an easy way to record at home or on the road. 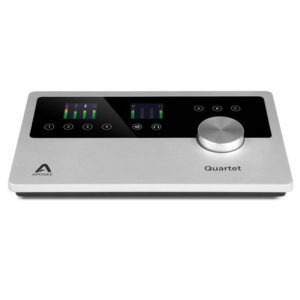 Apogee’s Quartet professional USB audio interface gives you the ultimate desktop recording experience on your computer or iOS device. 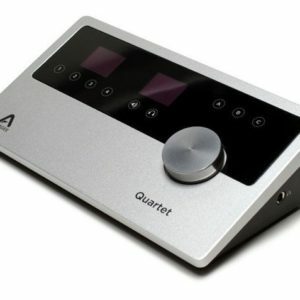 Quartet juices your workflow with four inputs and eight outputs of legendary Apogee AD/DA conversion and four world-class mic pres. You also get up to eight digital inputs via Lightpipe. Two full-color screens keep you abreast of critical routing details, Quartet’s QuickTouch pads make for easy I/O selection, and you run the entire show from a single controller knob. 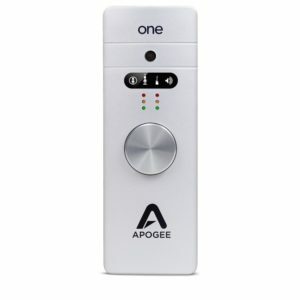 The Apogee One for iPad and Mac is the perfect way to turn your iOS device into a professional recording tool. 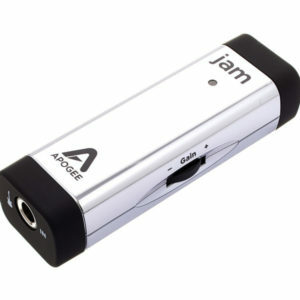 This compact and ultra-portable interface lets you record audio to you Lightning-equipped iPad when you are on the go. Record up to two channels simultaneously of pristine 24-bit/96kHz resolution. Apogee’s next-generation AD/DA converters deliver amazing, transparent-sounding audio. A die-cast aluminum body ensures that the One will survive the abuse of the road. One for iPad and Mac will help take your iOS and computer-based recording to the next level.